Butter be gone! 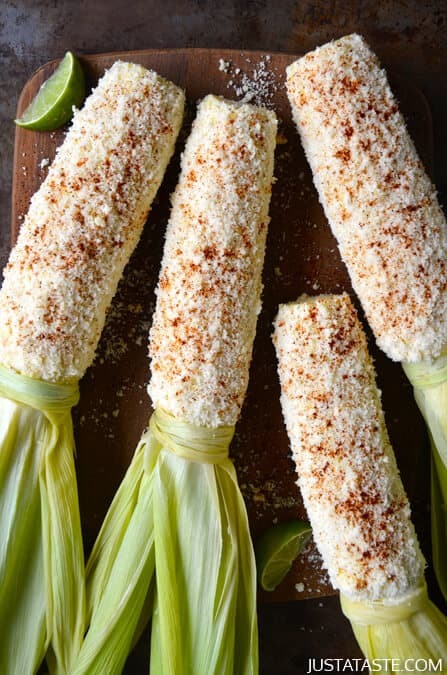 Corn just got a summertime-inspired makeover and the result is my latest and most favorite seasonal side dish: Cheesy Roasted Garlic Corn on the Cob. Remember the roasted garlic aioli from the baked asparagus fries? It’s back in action, and this time it’s slathered on boiled sweet corn, sprinkled with a generous shower of grated Parmesan and doused with a squeeze of fresh citrus. I know what you’re thinking, “But Kelly, I can’t believe it’s not butter!” I know, I know. Butter is to corn what peanut butter is to jelly. They are one with each other. But not any more. Cheesy, tangy and with just a touch of heat, this recipe hits all the flavor-packed high notes. Slice the top one-third off the head of garlic. Place the bottom portion on a piece of foil, drizzle it with olive oil, and season it with salt and pepper. 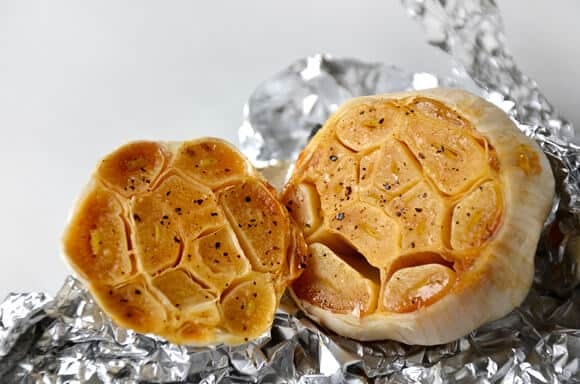 Place the top portion back on the head of garlic and crumple the foil to create a sealed packet. Roast the garlic for 30 minutes or until it has softened. 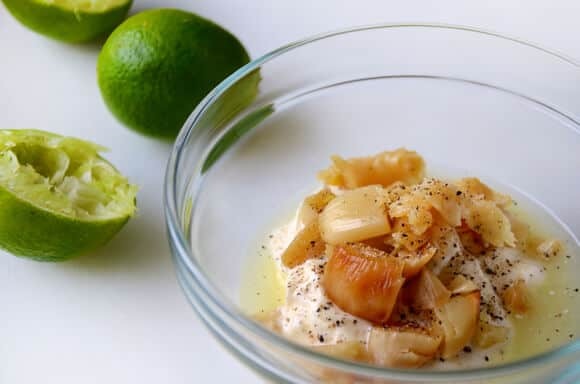 Remove the roasted garlic from the oven and squeeze the cloves into a medium bowl. Mash the cloves with a fork then stir in the mayonnaise, lime juice, salt and pepper. Set the mixture aside. 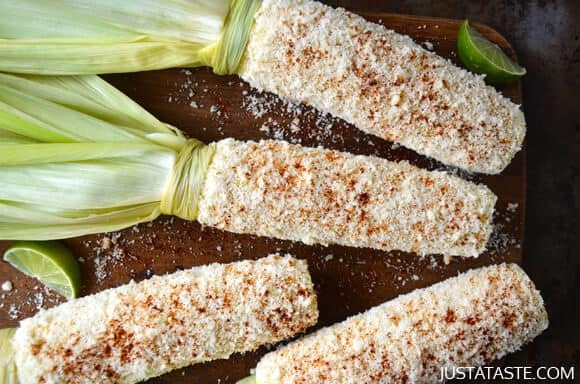 Spread the corn on all sides with the roasted garlic mixture then sprinkle each cob with Parmesan cheese and a pinch of chili powder (optional). Serve immediately. 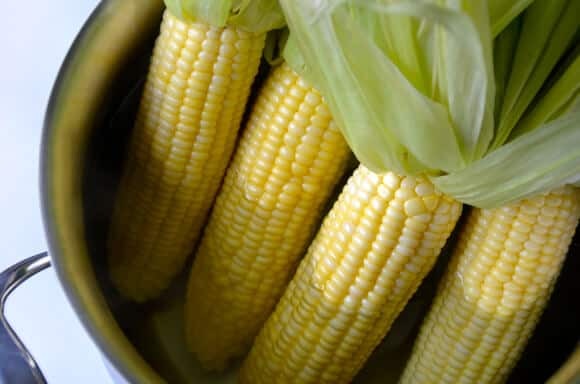 This recipe also works great with roasted or grilled corn.